In his post, Zuckerberg predicted that the changes could reduce the attractiveness of Facebook as a media consumption channel. It may also reduce the time users spend on Facebook. However, this should work out for the better good of Facebook users. You can read Zuckerberg’s full post below. Pages that publish posts with low levels of reactions or comments will suffer the “biggest decreases in distribution” while those which are effective in trigger conversations among friends will experience lower declines. These changes followed research conducted by the company which revealed both good and bad outcomes from regular Facebook usage. Let’s start with the bad. Apparently, the passive consumption of Facebook content like videos, articles, photos and other posts could lead to users feeling more negative about themselves. In particular, people who “clicked on about four times as many links as the average person, or who liked twice as many posts” reported to be mentally worse off than the average person. On the positive side, users who actively interacted with their friends on Facebook could enjoyed better well-being. Such social activities might take the form of sharing messages, posts and comments, or reminiscing about past interactions. Following the advice of social psychologists and its own research, Facebook implemented steps to encourage greater social interaction on its network. They will also adjust the News Feed algorithm to reduce the time users spend on consuming content alone. By doing so, the social network will proactively take steps to reduce the addictiveness of its platform. 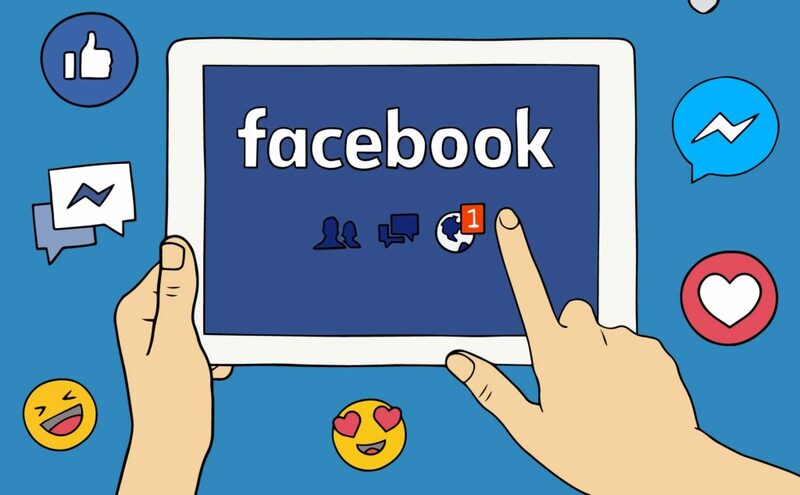 Facebook’s impending change follows a string of announcements to battle engagement bait, reduce click baiting headlines, and minimise links to low quality web pages favoured by spammers. I’m glad that they are making these changes, given the rampant abuse by spammers, scammers, and phishers on the network. Sensational content favoured by viral media websites will see further decreases in visibility, especially if they flout Facebook’s rules above. Videos (including “viral ones”) may have a lower effectiveness and reach if they do not promote conversation. Organic referral traffic to websites (which is the main reason why brands are on Facebook) will drop significantly if they do not trigger reactions and conversations. Facebook Ads that do not perform well are going to be even more expensive to publish. With so many factors going against them, should online marketers just forget about Facebook? Conversations + Groups + Targeted Ads? It does appear that Facebook Groups that trigger interactions around public content may also benefit. However, don’t try to gamify it with the same triggering phrases as the ones above, as Facebook’s algorithm will apply to individual profiles too. Well, according to this report on Reuters, advertising on the social network would not be affected by the changes. So if you wish to reach out to your targeted customers as a brand, you can still do so using Facebook Ads. However, it is likely that advertising on Facebook would be more expensive as more brands gravitate towards ads to get their content noticed. Plus, the fact that the inventory of advertising spaces on Facebook may run out even faster. So what can your brand do? Trigger conversations amongst your target audience by being interesting, relevant and topical. One way to do so is to see what’s current and use newsjacking to spur discussion. You may also wish to conduct surveys to ask your community which areas they are concerned about. Offer real value by giving them something helpful as opposed to resorting to promotional and gamification tactics. Tell engaging stories that resonate with your audiences, and connects with them emotionally on a visceral level. Build a strong community by publishing relevant content consistently, organising events, sharing fan content and customers stories, and appoint advocates amongst your communities. Once again, the thing here is to trigger conversations and comments, especially long ones. Start an employee advocacy programme on social media. With Facebook prioritising individual posts over page posts, engaging these influencers becomes more important than ever before. See if you can get them to comment on your posts. Be very targeted in how you advertise on Facebook, and spend even more effort in crafting razor sharp Facebook ads that cut through the clutter. Here are some ways of doing so. With Facebook focusing on more meaningful interactions between its members, brand marketers need to change the way we use the platform. The throttling of News Feed visibility for video, image or link posts by pages means that relying on the organic reach of your posts alone no longer works. You should also stop all engagement baiting or click-baiting activities. Instead, you should focus on being more social and less media in the road ahead. Begin by sharing more stories about your brand, your customers, and your employees. Start conversations about topics close to your community’s heart. Offer valuable content, tips and insights that your community can use. How do you feel about Facebook’s impending changes to their News Feed? Will it change the way you run your business on social media? Should be quite the interesting transition for sure, especially in terms of paid ads and projected spending in 2018. I wrote a piece about this yesterday, but I like Zuckerberg’s sentiment of making the time spent on Facebook more meaningful rather than mindlessly scrolling through newsfeeds. On the other hand, I’m curious to see how businesses react to the algorithm change.